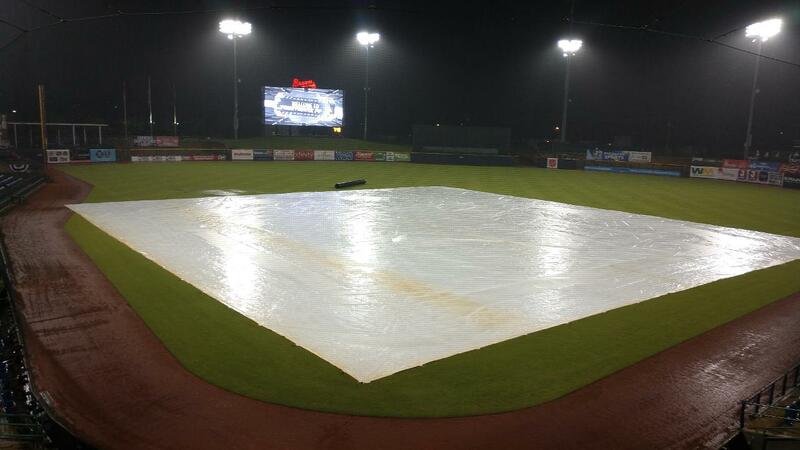 PEARL, MS - Saturday night's game between the Mississippi Braves and Mobile BayBears has been postponed due to severe weather in Central Mississippi. The clubs will play a doubleheader on Sunday at 1:05 pm to make up Friday's postponement and then make up Saturday's game on Saturday, June 15, during Mobile's return trip to Trustmark Park before the All-Star break. Sunday's games will be seven innings in length, with game two starting 30 minutes after the conclusion of game one. Gates will open at noon. Fans with tickets to Friday or Saturday night's game will be allowed to exchange their tickets for any of the M-Braves remaining regular-season home games at the Trustmark Park box office, excluding July 4. The pitching matchups for Sunday's doubleheader have not been determined. First pitch of game one is set for 1:05 pm with coverage starting at 12:50 pm on 103.9 FM, the TuneIn Radio app. and MiLB.TV. Petting Zoo - The first five Sunday games will feature a live Petting Zoo, courtesy of Green Top Acres that will include mini-horses, rabbits, goats, and sheep! Kids Run The Bases - After each Friday and Sunday home game, kids 14-and-under are invited to come run the bases like the pros after the game! For tickets visit mississippibraves.com/tickets or call 888-BRAVES4!